Where are you putting your money? Car lovers often find themselves contemplating the so-called next big thing for potential investments. One prime example is the Ferrari 308, the very one from "Magnum, P.I.” Not even ten years ago, a nice example could be bought for around $35,000. Today, that figure has more than doubled. Why? One reason is the Hollywood nostalgia attached to it. And now that nostalgia seems to be hitting classic Japanese sports cars. Bloomberg reports that thanks to movies like "The Fast and the Furious” franchise, sports cars like a 1994 Toyota Supra was sold last month for $121,000. The typical price for one in good condition is around $60,000. The arrival of the reborn Supra last month at Detroit may have also been a factor. 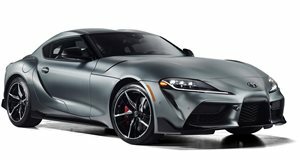 Speaking of which, the first-production 2020 Supra sold for $2.1 million at an annual Barrett-Jackson charity auction – twice as much as the first-production Ford Mustang Shelby GT500 at the same venue. Hagerty also found that Japanese sports cars in "fine” condition increased an average of 18.1 percent over the past three years and 38.8 percent in the past five years. Aside from Hollywood’s influence, values are going up because many millennials now have the funds to purchase their childhood 90s dreams cars. Take the first-generation Toyota MR2, for example. Hagerty discovered that millennials currently make up 45 percent of the quotes requested for the small coupe. Other iconic Japanese classic sports cars are showing consistent price spikes, like the 1994 to 1998 Toyota Supra Turbo, which increased over 6 percent in value from 2017 to 2018, beating gains from 2000s-era Porsche 911 Turbos and the 2010 Ford Raptor. A first-generation Acura NSX, assuming it’s in perfect condition, can sell for nearly $100,000. 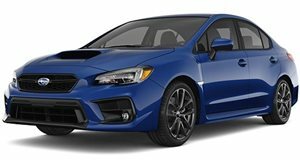 The 2002 Subaru Impreza WRX STI, the first model year it was sold in the US, is another example. Problem here is that it may be difficult to find one in perfect condition. 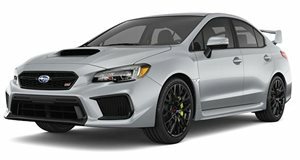 But if you do, it’ll cost you around $34,000, which is a little higher than the rally-inspired car’s original sticker price of $32,000. And yes, expect its value to increase further. Choosing an investment car is not easy, so the best one can do is to examine trends. Without question, Japanese sports cars from the late 80s and 90s are going up in value. Invest while you still can. Modern amenities with the bones of a sport compact.